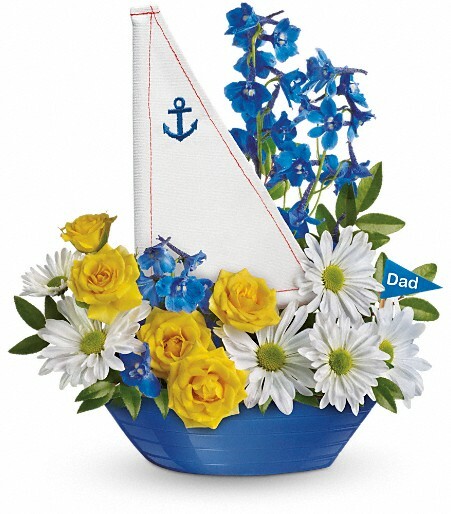 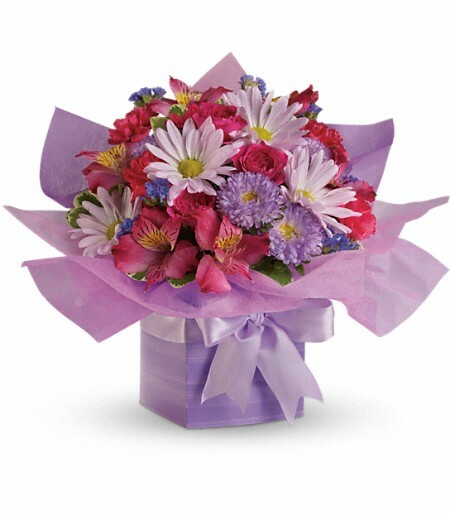 This pretty purple present comes with a beautiful surprise – a lovely bouquet of flowers that’s perfectly arranged and wrapped to look like a present. 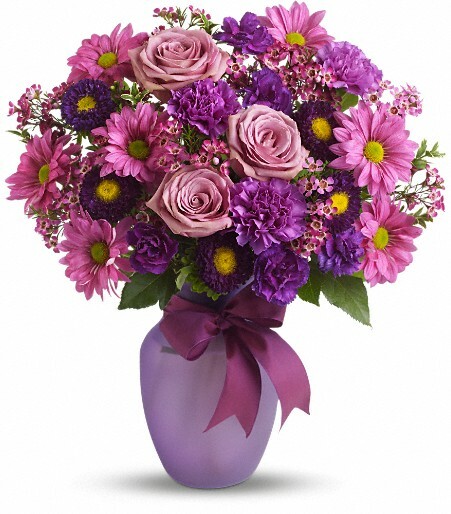 The soft lavenders, pinks and purples make this a wonderfully feminine gift. 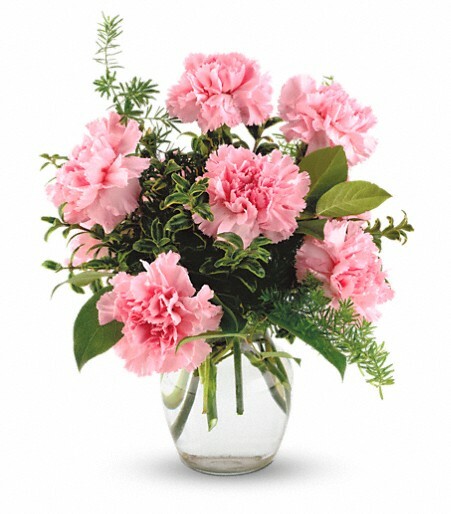 Hot pink spray roses and miniature carnations, dark pink alstroemeria, lavender matsumoto asters, daisy spray chrysanthemums, statice and pittosporum are perfectly presented here in an exclusive gift box.